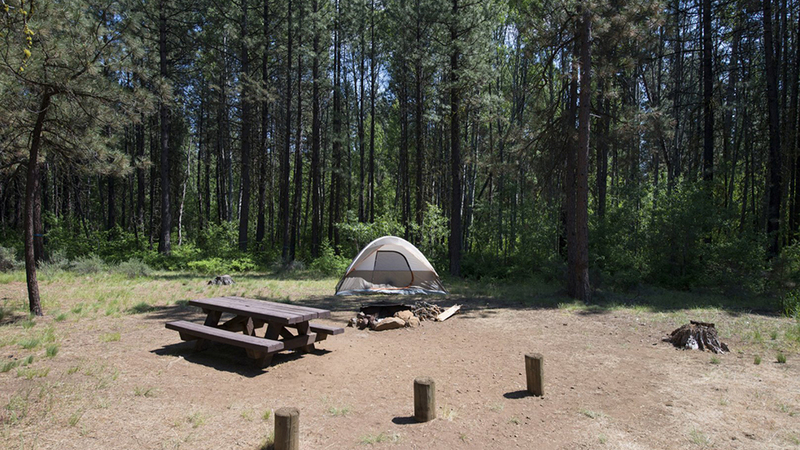 Indian Ford Campground is named for its location on Indian Ford Creek and is conveniently located between the town of Sisters and the Metolius River and Suttle Lake areas. Nestled in the Deschutes Forest with a pleasant, small spring running through the center of this facility, Indian Ford Campground is a great shady family spot with short hikes all around, some hiking and biking trails departing from the campground itself. The ponderosa pine forest provides shade as well as the chance to go bird or nature watching. Indian Ford Campground can accommodate RV, trailer or tent-campers however water and electric hookups are not available. This is a no water facility so campers will need to bring their own supply. All sites are equipped with a picnic table and campfire ring with grill and the campground has vault toilets available. The campground received relatively light usage and finding a campsite isn’t usually an issue. Maximum spur length is 50 feet.